Established in 2013 and located on the Wimberley Square, the Wooden Spoon offers a rustic yet homey atmosphere to enjoy some soft serve yogurt. Why was the Yogurt bad at tennis?...Because it had a soft serve! Talk about toppings for days!! 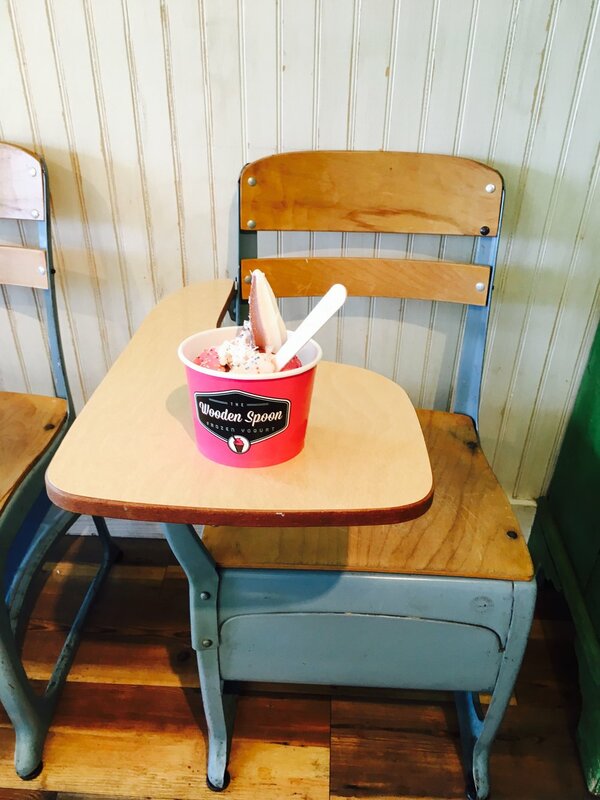 Feed your inner child on the back deck where it feels like you're eating ice cream in a tree house! The view of cypress creek sure is something too! And a plethora of toppings.. They even do birthday parties!! Go get you some! You deserve it!